Choose Your Area Of Study! One great resource on this database is that you can narrow down your area of study into the different categories, and then further narrow it down from there. For example, if you were to click on Animals, then on Reptiles, Searchasaurus would give you a multitude of articles to choose from just on reptiles. 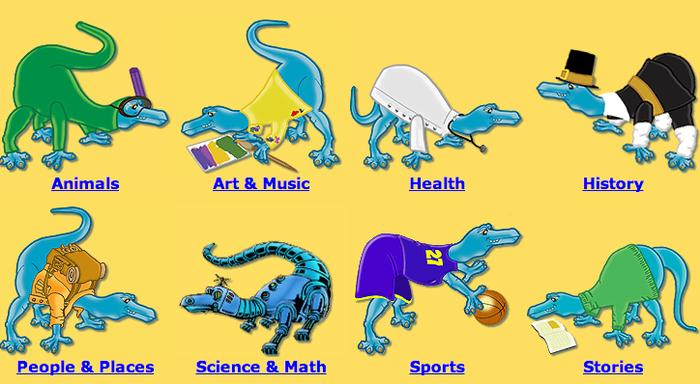 One thing that you are able to do on Searchasaurus is you can choose your Lexile Reading Score and choose whether or not you want to work with the full text on the front page of the site. This way you aren't stuck with text that is way above or way below your reading level. 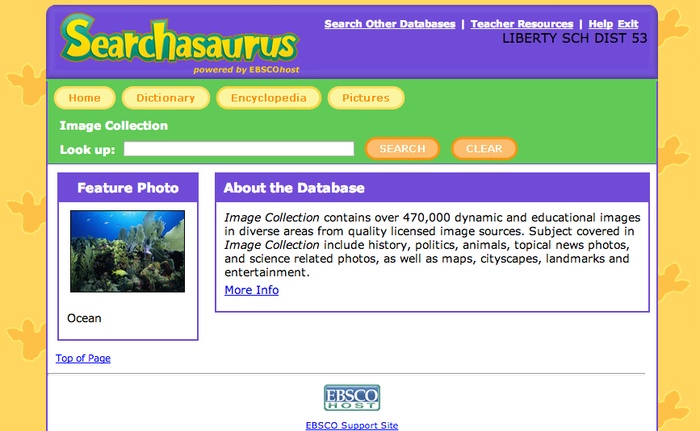 Another thing that is cool about Searchasaurus is that there are multiple resources. Not only can you do a basic search to find articles about your topic, but there is also a Dictionary, Encyclopedia, and a Image Collection that you can use for research as well. This is a great way to help you further understand your research or find new information.